Nerja is a populat coastal resort town some 50 kilometres east of Málaga city conected by the A-7 coastal highway. It marks the eastern limit of Málaga provine's Costa del Sol. Once a sleepy fishing village, the town now has a resident population of over 25,000. Book your private taxis in Nerja at the lowest rates with MalagaTransfer.co.uk. 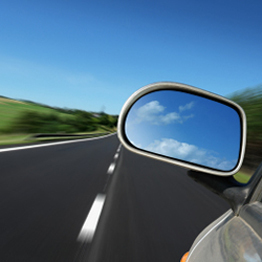 Get a 10% discount on round trip transfers, multilingual drivers and pay on arrival. No.1 for Taxi and Minbus transfers from Malaga Airport. Reliable Licensed Service. Book online and pay driver on arrival. RentIn Nerja offers the very best Apartment & Villa Rentals in Nerja. Call 01949 829109. Holiday villas, cottages and farmhouses with private pool in Nerja, Frigiliana, Torrox and throughout Andalucia. Trips from the Costa del Sol to Nerja and Frigiliana. 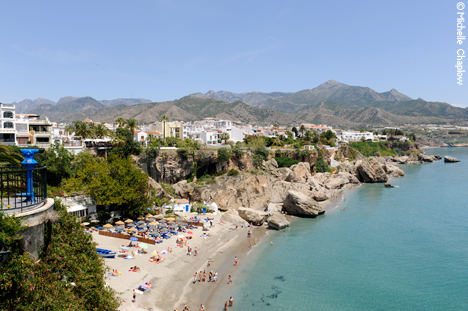 Nerja, a beautiful town on Malaga's eastern tip, with excellent beaches, water sports and fascinating caves. However, the heart of Nerja is its spectacular Balcón de Europa the "Balcony of Europe", a magnificent promenade along the edge of a towering cliff, once the site of the great Moorish castle, with sweeping panoramic views of the Mediterranean and the small coves and beaches below, against an awesome backdrop of hazy blue mountains. The Sierras of Tejeda, Almijara and Almara were designated a natural park in 1999, this large and rugged mountainous region of 40,663ha stretches across the provincial border of Granada and Malaga. Its western part in Malaga province is known as the Axarquía and is famous for its attractive villages dating from Moorish times. It is also superb hiking country and its numerous steep mountainsides make it ideal for climbers. Its highest peak is La Maroma, at 2,080m. Accessible from Nerja and Vélez-Málaga on the Costa del Sol. Routes range from easy strolls to strenuous climbs. The mountains are largely limestone, with some summits reaching over 2000m. Nerja cuisine includes several specialities including De La Doncella (red mullet) and pescaito frito (fried fish) and ranging from top international cuisine to the ubiquitous sausage, eggs and chips! There is no shortage of restaurants to choose from. The next places along the coast are Almuñecar to the East and Torrox and Torre del Mar to the West. Hover the cursor over Nerja to see bigger map and click to go to the maps page.